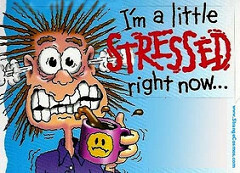 Dealing With Debt Collectors....No FEAR! No matter how serious you financial and/or debt situation is, there is a solution. DON'T BE AFRAID! Debt collectors are people just trying to earn a living. I've been dealing with them for many, many years and most of them are not hard to deal with. If, you know a few things about them. Usually, the debt they are calling about is one that you owe. Of course, if you can prove that you don't, you can always demand that they "validate" the debt by providing documentation. The Fair Debt Collection Practices Act (FDCPA) gives us protection from illegal debt collection practices. Basically, it spells out what a debt collector can and cannot do in attempting to collect debt. It allows a consumer to question the validity of the debt they are calling about. There are also many "credit repair" companies that advocate using the validation process to remove debts from our credit report. While you should challenge or dispute errors on our credit report, beware of opening a validation dispute on accounts you owe as it might backfire on you! Unless you can prove beyond a doubt that you never had or have paid the debt with proof in writing, don't send the letter! Why? A debt collection company has been retained by the original creditor or the owner of the debt. Yes, creditors buy and sell debt. In fact, it is a multi-million dollar business. Anyway, while a request to validate the debt may work, it could cause the debt collector to become very aggressive in their collection efforts! This may include filing a CLAIM, resulting in a SUMMONS, that may lead to a JUDGMENT, which could lead to WAGE GARNISHMENT, LIENS and BANK LEVIES! This will not only let you know how much (if any) money you can offer to SETTLE the debt and the debt collector will most likely ask about your situation. Trying to act "tough" or being disrespectful will NOT HELP! While you'll need to explain your situation, don't "over do it". The collector may need to submit your settlement offer with some budget information to the owner of the debt or they may be able to discuss and negotiate a settlement right now. Always ask them what it would take to settle the debt! They may come back with, "How much do you have to offer?" Say something like, "I don't know, I am barely making it now. What will it take?" In negotiations, the person who gives out an amount of money usually loses! "I just don't have $4,000, but I may be able to could come up with $2,000 if you could give me a little time." That's it...stop talking...wait for a response. They may or may not accept, or they might come back with a counter offer. If you are successful in negotiation a good settlement, you MUST GET THE AGREEMENT IN WRITING!!!!!!!!! Let me state that again....NO AGREEMENT IN WRITING....NO DEAL! If you are unsuccessful, then just tell them that you'll have to get back to them and politely hand up. They may or may not follow up with you. FINALLY, the worst thing you can do is to ignore the debt. If you do, while the account may be pulled back to the owner of the debt and transferred to another collector, it cause the collector to become too aggressive and possibly initiate legal action by the collector! By dealing respectfully and confidently with the debt and the collector, you may be able to settle the debt or if necessary, just set up payments to repay the entire debt. "I don't understand why I received a summons!" "I never received anything about this! I have been helping people deal with all of the problems of credit card and other unsecured debt for over 15 years, and I get calls like this almost every week! If you have ever had someone come to your home, office or received a registered letter with a summons, you know how stressful this is. To prevent this from happening, you need to understand how the debt collection process works and what you need to do to stop a summons before it ever gets started. What happens if you cannot keep up with the minimum payments required by you credit accounts? After our divorce, I tried to keep up with the credit cards that I was left with, but without my ex's income, I just couldn't. For the first few months, I would just pay the minimum payment on all of the larger balances and let the smaller ones go. , I tried taking a "cash advance" on one of the cards that still had a little bit of credit left on it to pay something towards the others. I knew I was in big trouble, but felt hopeless...there was nothing I could do! After a while, I had to make decisions like whether to pay the utility bill or the Visa bill. Of course, the utility bill had to be paid. It's winter and cold! I even had to use the last credit card (with any "credit limit" left) to buy groceries once in awhile! I finally stopped paying on most of the cards but one, hoping that something would happen and I could get caught up on the others one day. I started getting phone calls....lots of phone calls and letters. I tried explaining my situation a couple of times, but the agent didn't seem to care. All she wanted was for me to send something right away! Finally, I just stopped answering the calls or the messages. After a few months, the calls slowed down or stopped from the original creditors, and now they were coming from debt collectors. The letters from the Collection Agencies, were offering to work with me, but I just didn't have enough to make ends meet. So, I just threw the letters away. The Summons said something like (I was too upset to really read it carefully) I was now a defendant in a lawsuit. The Plaintiff was the Visa Card/Store Card. It seem to say that I had to go to court ("appear") in 30 days or that a judgment would be awarded to the Plaintiff. I found out that the "Appear" really meant that if I wanted to argue or explain why I didn't owe the debt, I had 30 days to send an "Answer" to the court. The "Answer" had to be legally correct and would most likely need to be prepared by an attorney (how much would that cost?) and there would be a filing fee on top of that! I knew I owed the debt, but couldn't do anything about it. So, I just IGNORED THE SUMMONS. I'll address that last phrase..."I just ignored the summons" later. When you don't or can't pay the minimum payments due on your credit cards, the creditor can call and write seeking payment. In this hypothetical case (although very, very common), let's see what this person did wrong and what should have happened. When you sign up for and are approved for a credit account, you are promising to repay what you borrow/charge plus interest and fees. 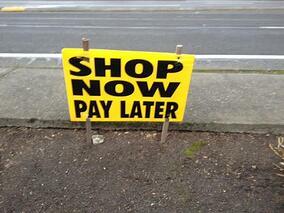 So, when you don't, the creditor has a right to "legally" attempt to get you to pay. In this article, I'm not going to get into the "legal" vs. "illegal" actions some debt collectors take, but have written several blogs you might find helpful. One of the most commons mistakes someone makes is to use one credit card to pay on another. I believe it is illegal, but regardless, you should never do this! You are just compounding the problem. If you have equity in your home, you may (and I'm not a big fan of this) want to see if it would be possible to either consolidate all of your credit card debt with a home equity loan or line of credit. The danger is that so many people do this, add years and increase the balance of the mortgage and then, charge up the cards again! Paying on one card and not the others, may help keep that particular account open, but in the long run, your're not helping yourself. As soon as you know you are in serious financial trouble, it's time to get very honest with yourself and find out exactly where you stand. You need to do a complete (honest...every dime in and out) budget. This will tell you the truth and help you decide on a possible solution. I'll get into detail a little later. Bankruptcy Protection from your creditors! I think Bankruptcy should be your last and only option after you try other programs. Briefly (see link above for details), a Debt Management Program (used to be referred to as Credit Counseling) is a program whereby each of your creditors agree to lower interest rates and sometimes waive fees for a set amount of monthly payment for a set amount of time. As long as you keep up, they will not take any more collection options. But, the problem with this type of program is that the monthly payment is not much lower (if at all) than the total of all of your previous minimum monthly payments! If this is the case, then a Debt Settlement Program may be the answer. A Debt Settlement Program is for people who have (or are about to have) accounts in collections. Rather than make payments to the creditors or debt collectors, you will deposit an amount (that you can afford after completing the budget), into a FDIC Insured bank account to be used to offer settlements on you debts. Debt Collectors and Debt Buyers may take 50% or less to settle old debts. Once they are all settled, your credit report will start to improve. Even after you receive a SUMMONS, you may be able to negotiate an agreement whereby you pay back what you owe in monthly payments you an afford. The Plaintiff will most likely move to obtain a DEFAULT JUDGMENT and it will be filed with the court. But, if they agree, a STIPULATED AGREEMENT (repayment plan) will be filed also. If you already have a garnishment or bank levy, you still may be able to negotiate an agreement to stop these, but it's not easy. Debt Collectors and Your Rights! If you have credit accounts that have been turned over to debt collectors, you know what it is like to be harassed by calls and letters! You don't have to put up with it, if YOU KNOW YOUR RIGHTS! The debt collection industry exits for the sole purpose of assisting creditors with collecting on unpaid debt that is legitimately owed by a consumer. However, many debt collection companies will purchase debt from creditors or other debt vendors in and attempt to collect for huge profits! These guys by up huge blocks of "debt" at pennies on the dollar. Although I don't fault anyone or any company trying to make a profit, I do take serious issue with debt collection companies that prey on consumer's fear and lack of knowledge. The Fair Debt Collection Practices Act (FDCPA) was passed to not only protect consumers from debt collectors, but to also inform the consumer of his/her rights. Use an automated dialer to call many, many times a day. Call you at your place of employment after you have verbally requested that they not call you there. Harass or abuse you by using threats of violence or harm as well as using obscene language. Falsely imply that you have committed a crime and will be prosecuted. Threaten that they will seize or garnish your property, income or bank account unless they intend to do so within a reasonable amount of time or have already obtained a judgment. Call your friends, family or co-workers and discuss your debt. They may contact others, but only to attempt to get or confirm your contact information. Use "official" government looking stationery trying to represent that they represent the government or agency. You can contact your state's attorney general's office and file a complaint. Just do a "Google search" for your state's attorney genera's site. If that doesn't help, there are numerous attorneys that specialize in defending consumer's rights that have been violated by debt collectors. One of the most annoying practices used by debt collectors is to call you several times a day or week! I've been assisting our clients on how to deal with debt collectors for over 15 years and although most operate within the FDCPA law, some will not. When one or more of the things happen to you (or someone you know), then it is common to use the easily available credit to "make ends meet". 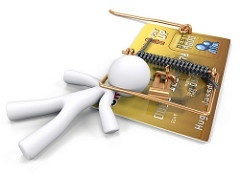 I would say the 95% of our clients over the years got themselves into credit card trouble like this! They fully intended to repay all their debt, but life and circumstances beyond their control just wouldn't let them. Now, they found themselves in such a financial mess that they could not even keep up with all of the minimum payments due. Once your accounts are sold or turned over to debt collectors, the may be willing to accept an amount less than the full balance to satisfy the debt. This is called a "settlement". We do this for our clients every day. Don't let debt collectors intimidate you! Know your rights and stand up! 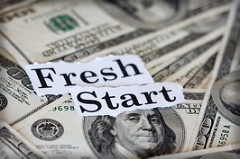 Use debt settlement to get a fresh start! Help! I Received a Summons! Now What? One of the worst things that can happen to someone is to be delivered a SUMMONS! Are they going to garnish my check? Are they going to take money out of my bank account? I need to give my disclaimer that I am not an attorney and not given legal advice. This article only comes from my experiences of helping people deal with debt for many years. For the sake of this article, I'm only dealing with UNSECURED DEBT and not debt like a home, car, boat, etc. When you take out a credit card or personal loan, you are given a certain amount of purchasing power (CREDIT LIMIT) based on a lot of factors that you CREDIT REPORT reveals. You are promising to repay the amount you charge on your account according to the terms contained in the application or contract you sign. If you don't, then the creditor can take certain actions to recover the debt. Usually, they start by sending you letters telling you what you already know...that your payment is late! Later, these letters start getting a little more serious in the language and tone. They may offer you a plan to get you back on track and even a SETTLEMENT option. 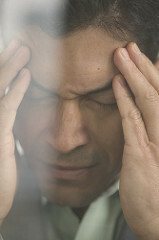 But, if you are unable to do either, they may decide to CHARGE OFF your account and place or sell to a DEBT COLLECTOR. Debt Collectors earn their fees by getting you to pay as much as they can! Period! They train their agents to call and do everything short of violating the Fair Debt Collection Practices Act. If a repayment plan cannot be worked out, the debt collector may decide to take LEGAL ACTION in order to recoup money for themselves and/or their client (your creditor. They must FILE A CLAIM in the county court where you reside. The CLAIM will spell out (in legal terminology) that you took out the loan and didn't repay, therefore they are seeking RELIEF (JUDGMENT). Although the SUMMONS reads like you do, if you read carefully, it is not. YOU ARE HEREBY REQUIRED to appear and defend the Complaint filed against you in the above-entitled cause within 30 days from the date of service of this summons on you and in the case of failure to do so, for want thereof; Plaintiff will apply to the court for relief demanded in the Complaint. You must "appear" in this case or the other side will win automatically. To "appear" you must file with the court a legal paper called a "motion" or "answer". The "motion" or "answer" must be given to the court clerk or administrator within 30 days along with the required filing fee. It must be in proper form and have proof of service on the Plaintiff's lawyer or, if Plaintiff does not have a lawyer, proof of service upon Plaintiff. If you have questions, you should see a lawyer immediately. If you need help finding a lawyer, you may call (in this case) the Oregon State Bar's Lawyer Referral Service at (503) 684-3763 or toll-free in Oregon at (800) 452-7636. Sound like you certainly have to "appear and defend" the Complaint! But keep reading...."failure to do so..Plaintiff (plaintiff is the creditor) will apply for relief. If you can prove, and I mean documents, etc. that clearly prove you do not owe this debt, then you can file a "Motion" or "Answer" by either hiring an attorney (remember...this is a "legal paper" to prepare it, paying the court fee and file it with the court clerk or administrator within the 30 day period. 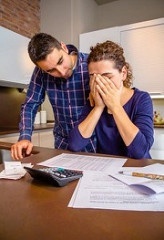 You owe the debt, didn't pay the debt, didn't work out anything with the original creditor or debt collector, so now, they have availed themselves of the legal process. ARE THEY GOING TO GARNISH MY PAYCHECK? CAN THEY TAKE MONEY OUT OF MY BANK ACCOUNT? At this point in the process, there has not been a JUDGMENT awarded to the Plaintiff/Creditor. A creditor CANNOT apply for a WRIT OF GARNISHMENT OR LEVY without having been awarded a judgment. So, just because they FILED THE CLAIM and you received the SUMMONS, that still does not give the the legal right to GARNISH OR LEVY. IT IS STILL NOT TOO LATE TO WORK OUT AN AGREEMENT WITH THE CREDITOR OR ATTORNEY TO AVOID FURTHER LEGAL ACTION!!!!! At this stage of the "legal process", you can contact the attorney and in most cases, (depending on various circumstances and your specific situation) an agreement called a STIPULATED AGREEMENT can be negotiated. The Plaintiff/Creditor may be willing to accept either a lump sum (sometimes a reduction from the total due) or monthly payments instead of moving forward in the legal process. But, you cannot procrastinate...cannot ignore the summons!!!! If you do, the Plaintiff and/or Attorney for the Plaintiff may not be willing to work with you! Here is an actual Agreement I was able to negotiate for one of my clients recently. The Defendant acknowledges that, upon default of this Payment Agreement, Judgment may enter in Clark County Superior Court in favor of the Plaintiff and against the Defendant(s), pursuant to the Agreed Judgment signed by the Defendant, in the total of $1,3 52.23, filing fees of $270.00 and a service fee of $98.00, for a total amount owing of $1,720.23, less payments made pursuant to this Payment Agreement. The Plaintiff agrees to accept and Defendant(s) agrees to pay a settlement amount of $946.56, with no interest, so long as all payments arc made timely and as agreed in accordance with this Agreement. In the event of a default in payments, the Plaintiffs agreement to accept this settlement amount will be null and void. Plaintiff agrees to accept payments on the settlement amount of $946.56, and not to undertake further collection efforts on the Judgment, so long as Defendant(s) makes an initial payment of $ 100.00 on or before January 28, 2018, followed by monthly payments of $100.00 or more, to be paid on or before February 28, 2018 and continuing the 28th day of each month thereafter, until the settlement amount of $946.56 owed is paid in full. The agreement goes on to explain how and where to mail payments, etc. The original Credit One account had a balance (all the interest and late fees added) of $1,352.23. There were added filing fees and service fees of an additional $368, bringing the total due of $ 1,720.23. The Plaintiff (creditor) agreed to accept a total of $ 946.56, payable at $100/month without any additional interest, so long as we make the payments per the agreement. By-the-way, each state allows interest to be charged on a judgment. In this case, the client lived in Washington, where the allowable interest would have been 12%. By negotiating a stipulated agreement, the client will not face any garnishment of bank levy. And, once the agreement is complete, a letter of satisfaction is sent to the court and the judgment is removed! If you have received a SUMMONS, take ACTION! and a service fee ot $98.00, for a total amount owing of $1,720.23, less payments made pursuant to this Payment Agreement. fte PlaintifT agrees to accept and Defendant(s) agrees to pay a settlement amount of $946.56, with no interest, so long as all payments arc madc iimcly and as agrccd in accordancc with this Agrccmcnt. In thc event of a dcfault in payments, thc Plaintiffs agreement to accept this settlement amount will be null and void. 2018, and continuing the 28th day of each month thereafter, until the setLlement amount of $946.56 owed is paid in full.